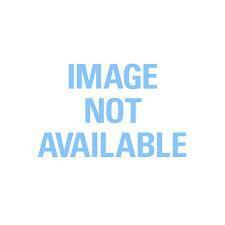 KX-BBPMP Basketball Post Movable - Premium Set with Spring Loaded System for Height Adjustment. Comes with 20 MM Acrylic Board & Dunking Ring, Heavy Structure, Wheels for Smooth Shifting and Base Levelers to Adjust Height on Uneven Surfaces. 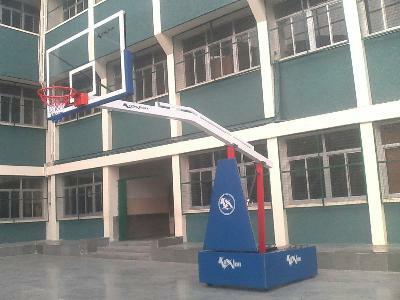 Basketball Goals Movable made in heavy duty steel structure with height adjustment by manual jack system. Comes with heavy base trolley having designed to hold heavy weighted batteries for stability of the post with quality wheels easy movement of the post. 20 mm Acrylic Board with Premium Dunking Ring. Basketball Goals Movable Made of heavy duty 6" round steel pipe with 20 mm Board and Ring. Fixed type with heavy trolley at base and wheels for easy transportation. 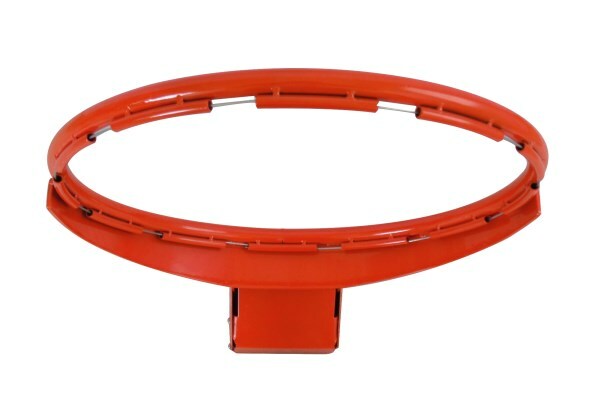 KX-BBPME Basketball Post Fixed Movable Comes with 5" Round Steel Pipe, 20 MM Acrylic Board & International Dunking Ring. Basketball Goals made of heavy duty 6" round steel pipe with 3.2 Meter extension fixed in ground. It comes along with 20 mm Acrylic Board & Dunking Ring. Also available in 2.2 Meter Extension. KX-BBPFR32 Made of Heavy Duty 6" Round Steel Pipe with 3.2 Meter Extension, Comes with 20 MM Acrylic Board & Dunking Ring. KX-BBPFR22 Made of Heavy Duty 6" Round Steel Pipe with 2.2 Meter Extension, Comes with 20 MM Acrylic Board & Dunking Ring. KX-BBPJW Comes With Wooden Board, Net and Ring. Different Height Adjustment Levels. 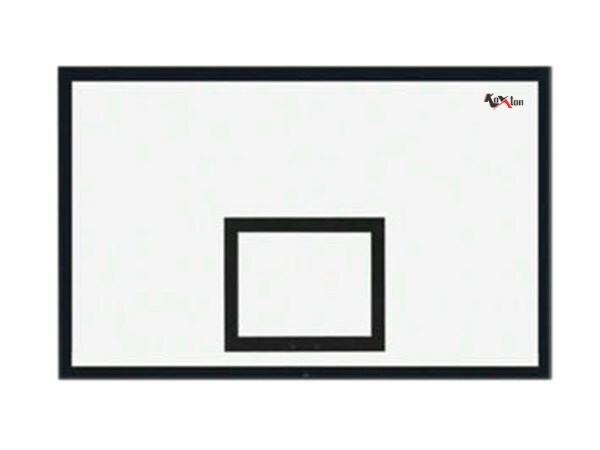 KX-BBPJA Comes With Acrylic Board, Net and Ring. Different Height Adjustment Levels. Basketball Goals Made of heavy duty 8" round steel pipe with 3.2 Meter extension fixed in ground. It comes along with 20 mm Acrylic Board & Dunking Ring. Also available in 2.2 Meter Extension. KX-BBPFC32 Made of Heavy Duty 8" Round Steel Pipe with 3.2 Meter Extension, Comes with 20 MM Acrylic Board & Dunking Ring. KX-BBPFC22 Made of Heavy Duty 8" Round Steel Pipe with 2.2 Meter Extension, Comes with 20 MM Acrylic Board & Dunking Ring.